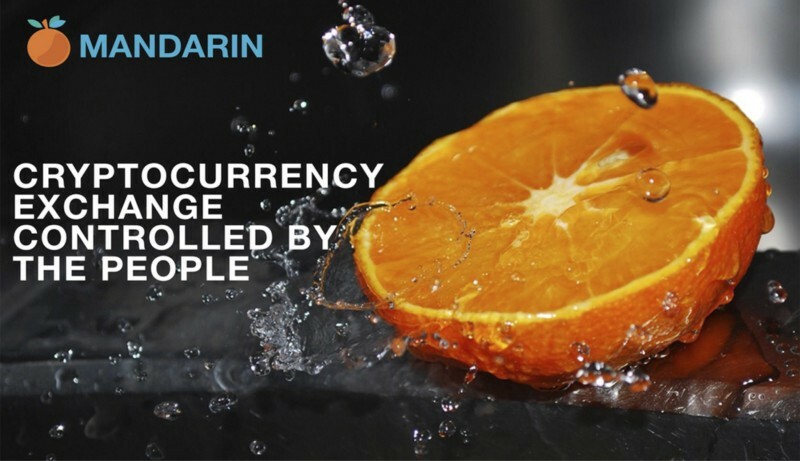 Mandarin is a cruptocurrency exchange first with a shared guide. It is divided into 1 000 000 tokens-Iris. 100% of the profits are distributed among all token holders, whoever wants, can get their own share. The main decision is taken by the owner of more than 10 tokens using a voting system and smart contract. 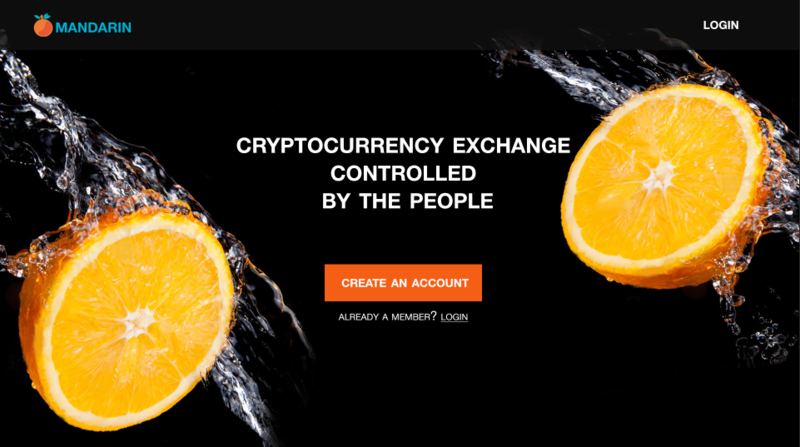 Exchange, if we think about exchange, of course it is a place to exchange our cryptocoin must be another coin for our personal needs, but of course the exchangers are not our own, but this is a service provided by a group of people. 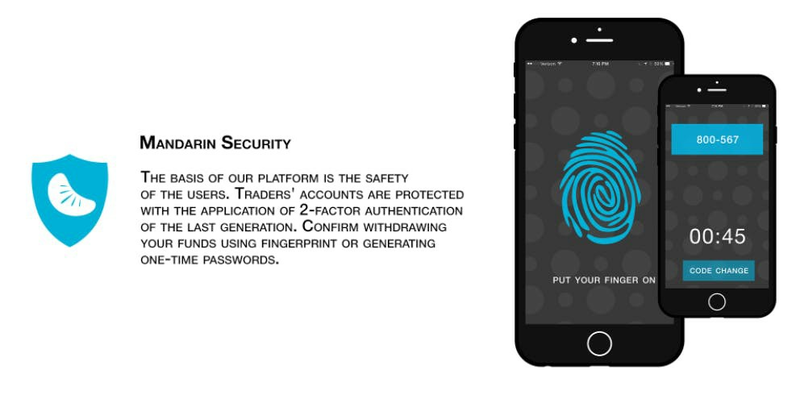 or the company for it helps make it easier for us to exchange our coin coin into another coin form. But Mandarin has an idea, with 1000,000 mandarin pieces, the 100% profit generated from the mandarin exchange service will be equally distributed to each token holder, at least token holders with more than 10 Tokens using a voting system and smart contracting. Almost all will use Voting system: Insert new cryptocoin into exchange, Expansion from functional, Change existing installation, how to deposit and all this will be done by token holder. Investors who have more than 1% of the total tokens will be able to access the Admin Panel and Extensive Stats. 20% for development, server payment, license, etc. In the first 3 months of the exchange, a 0% commission will be set for all trading pairs to attract the maximum number of merchants. This will allow users to try out all of our platform features without paying any fees, and choose them to choose Mandarin. 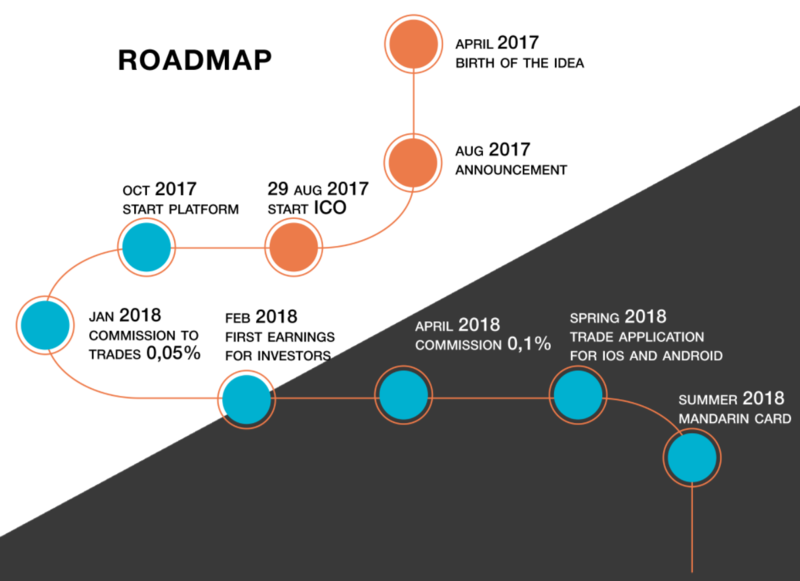 Starting from the 4th month of operation, the size of the trading commission will increase to 0.05%, and after 3 months the commission will be 0.1%, after the reward program input will work. In our plan for the summer of 2018 to issue a personal debit card with original Chinese design. This card allows you to easily withdraw money from your Mandarin account anywhere in the world where the ATM is located. 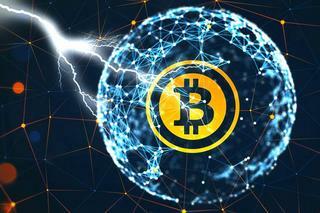 By default, the card's primary currency is USD, however, if your account does not have funds in USD, you can activate the automatic exchange function, in case of a deficit in USD, a conversion is made at the price at the time of the transaction from the currency available in the user's account. Planned to receive coins: Bitcoin, Ethereum, Litecoin, Dash, Monero, Zcash.